Where can you go after giving up 106 points in two weeks? Those are the questions Phil Emery and company have to answer as they try to fix the Chicago Bears, who were supposed to make a run at the Super Bowl this year. Now, the team isn’t running at anything—they’ve given up. On Sunday Night Football, the Bears did nothing short of embarrassing themselves. The secondary forgot how to play zone defense. Jay Cutler played like, well, Jay Cutler. Even Brandon Marshall, who prides himself on never quitting, quit. What’s most frustrating about these Bears is that they are as talented a group of guys Chicago has ever had. Alshon Jeffery and Marshall are the best receiver duo in football. Matt Forte can do anything. When Jay Cutler is on, however rarely that is, he’s as good as anyone, and this was supposed to be his breakout year. 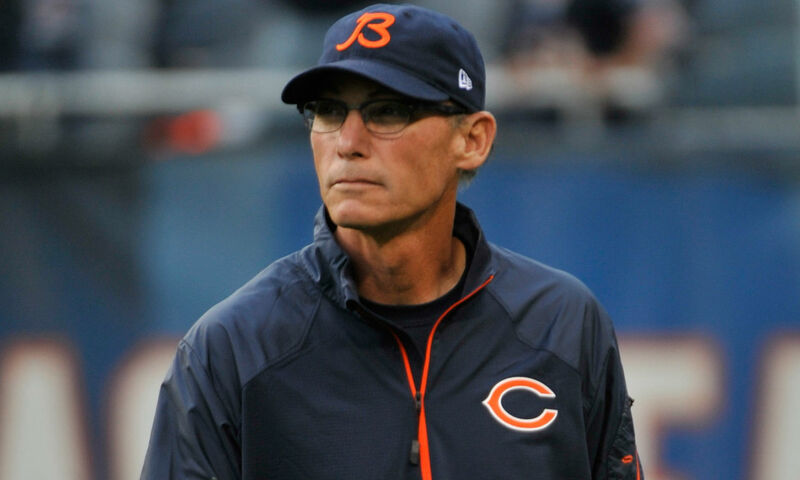 And then there was Marc Trestman, the coach. He was chosen over Mike McCoy (now of the 5-4 Chargers) and Bruce Arians (now of the 8-1 Cardinals), mostly because he was an offensive genius and also because Trestman’s views on leadership and life in general excited Emery to the point where he couldn’t resist pulling the trigger. Trestman barely missed the playoffs his first year, finishing 8th in total offense. Rookie year out-of-the-way, 2014 was he and his team’s coming out party. Well, on Sunday, the cops showed up, and the party was rolled. It’s easy, as a fan, to grasp your team being terrible when you know they’re going to be awful, or even if you just know they aren’t going to be great. But nobody expected the Bears to be bad, much less a bottom feeder. The pieces are there. The answers, though, are not. Why are the Bears so horribly awful? How did we get to this point? It makes no sense. Injuries have hurt them, yes, but that’s still no excuse for a secondary playing with a second grader’s football IQ. The defense was weak, but why could the offense only barely muster up 20 points? Why couldn’t they move the ball? Our default conclusion in sports, when no other conclusion can be made, is to blame leadership. To claim we can diagnose what a player is thinking, and why he is thinking that way. The truth is, we have no idea. I can’t tell you I know the reason the Bears look like they should be playing in Jacksonville is because Jay Cutler doesn’t speak up enough in the locker room. So, we have to take a shot in the dark. Try something, hope it works, and if not try again. Emery could fire Trestman, but what good does that do? Trestman would be gone by the end of this dumpster fire of a season anyways, so why go through the hassle? On the other hand, why not just rip the band-aid off? Emery could fire Mel Tucker, the defensive coordinator, but along with Trestman, Tucker will be packing his bags after the year is through. Why force the defense to learn another system mid-season, than a new one in the summer? 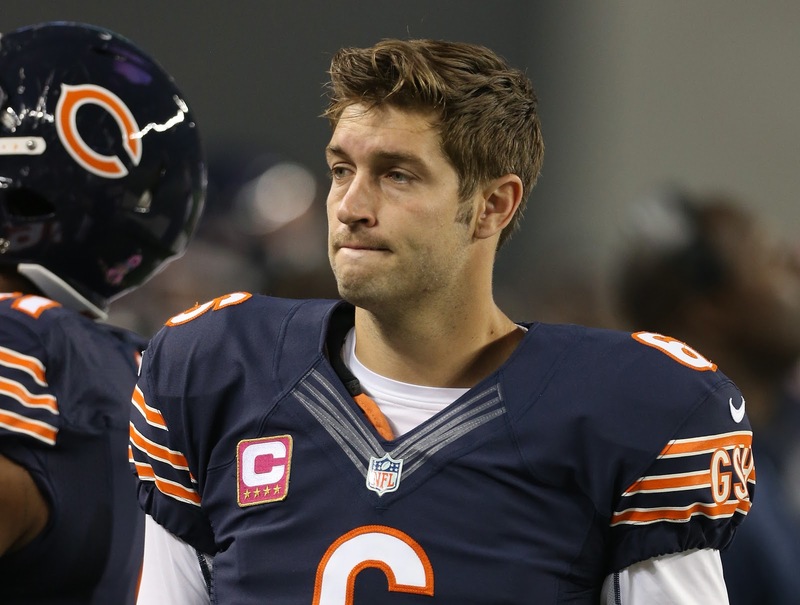 Emery should trade Jay Cutler, but that isn’t going to happen anytime soon. At least, it won’t happen until his mammoth contract—a contract that everyone with a brain mocked when they learned of it—is through. And Cutler’s ego isn’t too keen on sitting on the bench. Defensively, the current roster is thin, but the current free agents are skimpier. This summer doesn’t look much better, with a weak draft class not worth tanking for. There isn’t a way out. Every scenario is a bad one. No one solution can save the Bears from the mess they’ve gotten themselves into. Every year after the season ends (normally prematurely), Emery will hole up, identify what he feels the team’s problem was, and pour all his resources into fixing that one area of the team. This year, that analyzation is going to have to happen now, because if his team keeps wetting the bed, Emery’s head will be paraded down Michigan Avenue. Right now, as a Bears’ fan, with all hope for a competitive team lost, all our faith has to be in Phil Emery. No part of us can hope for that head to roll. He has some tough questions to answer, and there’s nothing to do but watch as Emery figures out where to take us from here. I’ll save him a little pain worrying about one thing. The only place to go is up. Joe, The problem starts at the very top. The Bears have been generally terrible (with one exceptional year) ever since 1964. Nothing will change until the McCasky family sells or gives up control to a real football-oriented President. Phillips is “bookkeeper” whose claim to fame is that he negotiated a sweet-heart contract for a terrible stadium. In turn his choices for General Manager have been awful. Over the last 10 years the draft picks, with very few exceptions, have been total busts and the free-agent signings of players at the end of their careers has not worked very well either. And Cutler, enough said. As to Trestman: he was so hungry to take the job it is obvious he took it with shackles – I doubt he can hire or fire his assistants and he probably does not even have much say as to who starts. That said, he lost respect of the players by letting the “stars” control when they showed up in pre-season and by giving the team a week off after the NE game. If Marshall was playing for Bellicheck (sp?) you know he would be sitting on the bench for his public tirades. In sum, you have a system that everyone takes credit for beating really crappy teams, but no one is responsible for failure. I predicted this season when I watched the lazy approach and lack of preparation in the preseason games. At least we have the Bulls and Blackhawks and for the first time since I was a senior in 1958/59, Northwestern will at least have a respectible basketball team. And the Cubbies are a few years from becoming baseball’s next dynasty!!! !